I just need a new armrest. They could just swap armrests with me, and I can handle the three Phillips screws myself. Otherwise I risk scratches, lunch trips by the staff, smoked clutch plates, sand paper car wash, etc. It is what it is, and I accept it. Just frustrating is all. Offer to take delivery of the arm rest only. If they refuse, tell them you want to watch them swap it out. No lunch runs, no scratches, etc. Plus, I always tell them to NEVER was the car. I just took the car in with a list of things I wanted considered under warranty replacement and they replaced the center arm rest. No big deal. I have been taking cars to dealers all over the country for over 50 years now and have only had a problem at 2 of them and it wasn't about the quality of their service Vs them trying to overcharge me. They'll probably refuse. They need charge 30 minutes to Chevy for warranty service, plus the part. I guess I shouldn't complain that this is the only issue that needs warranty service. Car has been rock solid so far. And I have asked them not to wash car in the past, and they break out the brollow pads anyways. Sometimes its best to stick a sign right on the driver's door with "Please don't wash". Y'all are getting the armrest dents replaced?! My dealer said no...said the AVM (next level manager?) said no. Advice (besides calling the 1800-number)? After reading your guys saying "yes", I'm on the phone with Chevrolet now. Yeah, get it done now. Its a quick job so if you stick around there won't be any potential for a joy ride. My dealer replaced my entire dash (3LT issue) and they did the work flawlessly. The test drive was PDR'd and very professional. I hear a lot of folks are worried about the 3LT de-lamination problem. Fears of a squeaky dash on my otherwise perfect car would give me nightmares. Glad to hear you have competent local service. Last edited by LarryFL; 03-11-2019 at 04:13 PM. I had it replaced on my '14 and my '16. On my '18 I put a folded towel (matching the interior) under my elbow. The armrest stays perfect and it's more comfortable. I also use it to dust the dashboard when needed. I work for a car dealer. They will NEVER give you the part to exchange. As simple as it is to do the R and R yourself if you where to damage anything else they would be liable. And as another member explained Chevy is paying them to do the work. They have to register a tech doing all warranty work. Good luck...buy a towel! OP, ya'll need to find a new dealer. I don't give it a second thought, but the dealer I go to is now in the top 10 in Corvette sales so they know about Corvette owners. Which dealer do you use? I'm only an hour or so from where you live. My car has had the armrest replaced twice already. I think I'll just give up on it. Slap one of these on there after you get it replaced. So far, no new wear and tear and both of our arms don't stick! Just had mine replaced last week - I hope this one last longer as they look such a mess when the fabric is all loose. Hendrick Chevrolet, Cary NC. ONLY the Cary location off route 64. What's with all the arm rest replacements? I've got 84K on my car... and the arm rest is fine. What _are_ you folks doing? Last edited by 4thC4at60; 03-11-2019 at 05:24 PM. 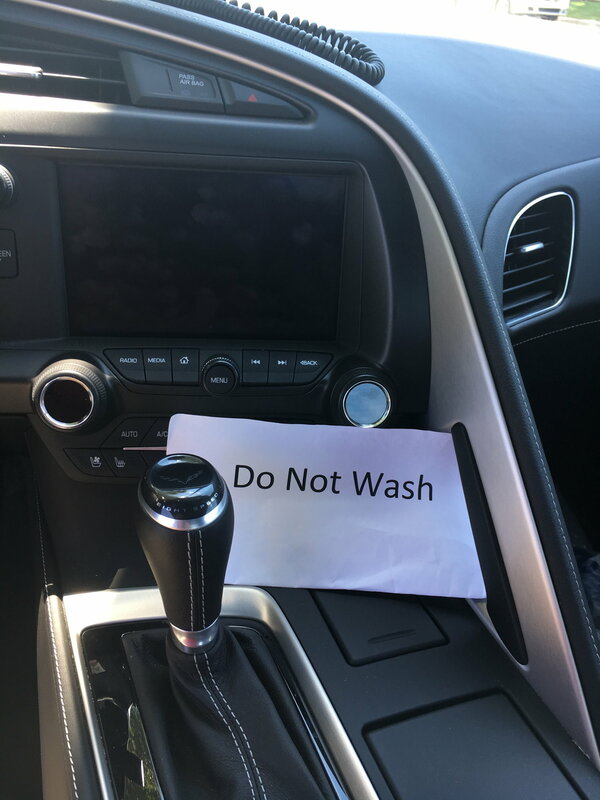 While in for warranty, after verbally confirming with the service manager that it would NOT be washed, and leaving this sign in it, Rick Hendrick City Chevrolet washed it and left me with an entire car covered in complimentary dealer installed scratches. The entire car was a spider web. Yayyyyyy. Not. I would hate to think I had to take my car to a dealer that I couldn’t trust to do warranty work on it. Luckily, I do trust my dealer and they have never given me a reason to doubt the quality of their work. 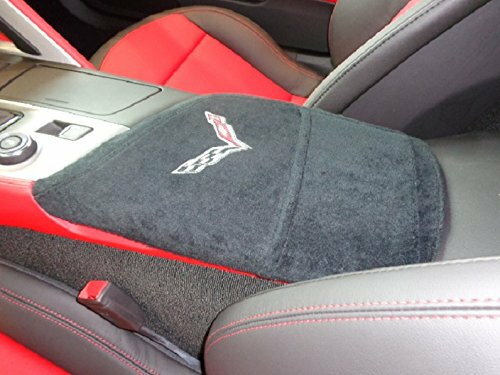 If you want the armrest replaced, the dealership is the one that is going to have to do it. If needed, express your concerns to the service manager and have him write on the repair order that there are no other things wrong with the car. Plus have him put in large letters DO NOT WASH.